Grab this 3-in-1 camping solar flashlight now! 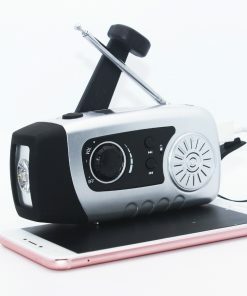 Multi-functional – Flashlight, torchlight, and power bank all in one solar-powered device. Space Efficient – You don’t have to worry if it’s going to fit your backpack because this solar flashlight is foldable and can be made smaller. Also, because it is multi-function, you’ve automatically cut down space for two other items. 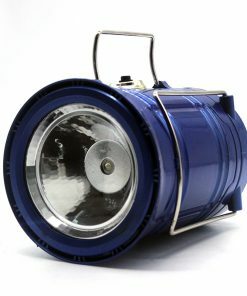 Lasts long – It prides itself for its 10000 hour lighting time that maintains the same brightness all throughout. The High-Power Solar Flashlight is a staple for campers. 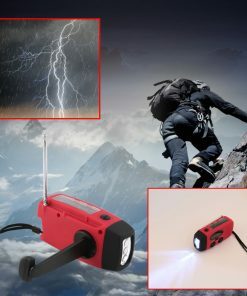 Aside from a flashlight, it also serves as a torchlight and a power bank so it can help you in most situations when camping out. Its design makes it all the more perfect for campers and hikers who move a lot because it is foldable and is therefore space efficient. Moreover, it prides itself for its longevity that lasts for 10000 hours so it can last you days in your adventure. If you don’t have it yet, get it now!